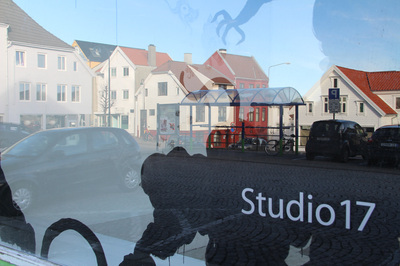 In this second chapter of Mythistoria, created for Studio 17 in Stavanger I explore transformative creatures in mythology and tales. 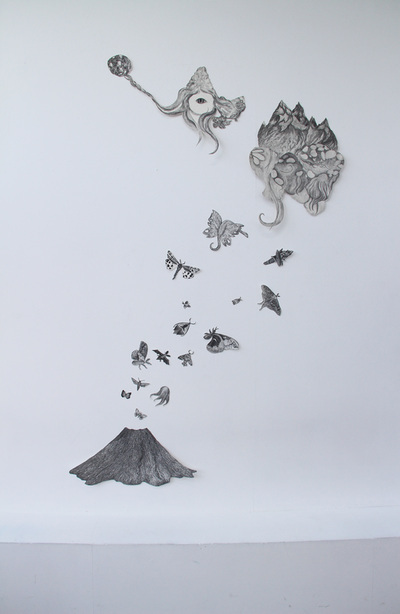 Mythistoria is Latin, meaning fabulous narrative and tall tale. 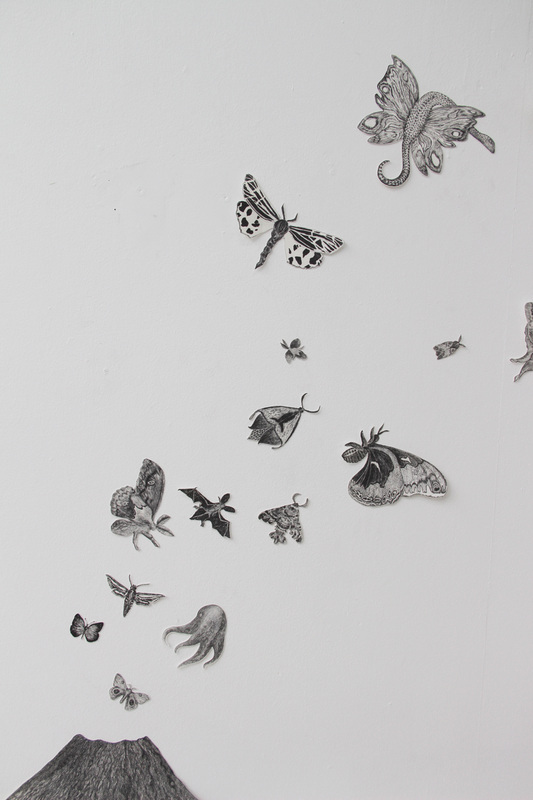 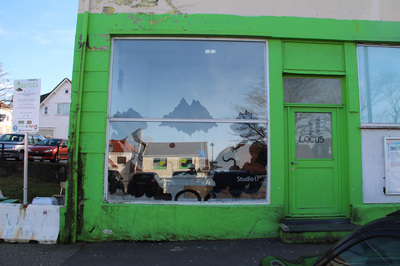 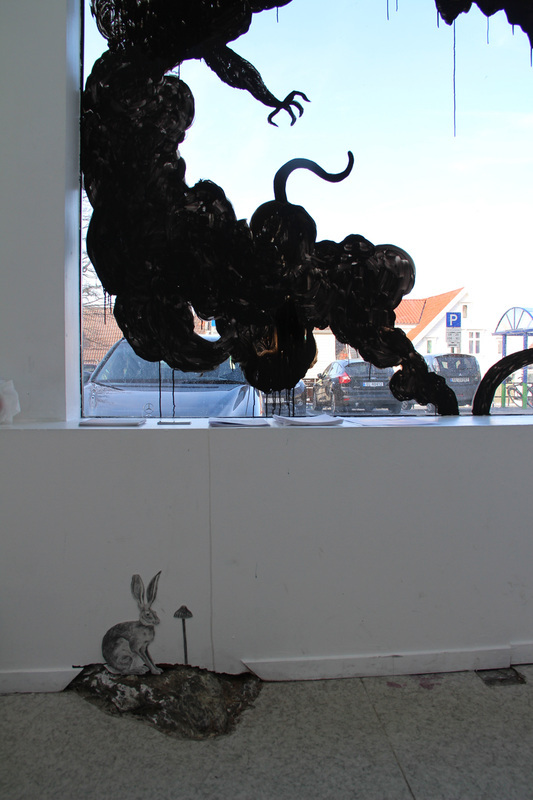 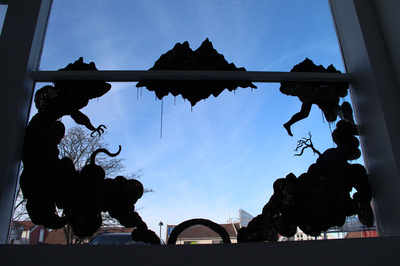 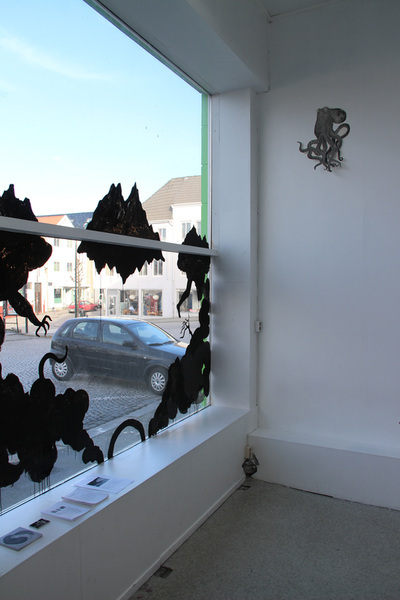 The piece is site specific and like I did at the first Mythistoria at Window Box Gallery in Oslo, I use painting on the window glass, and drawing and collage on the gallery wall. 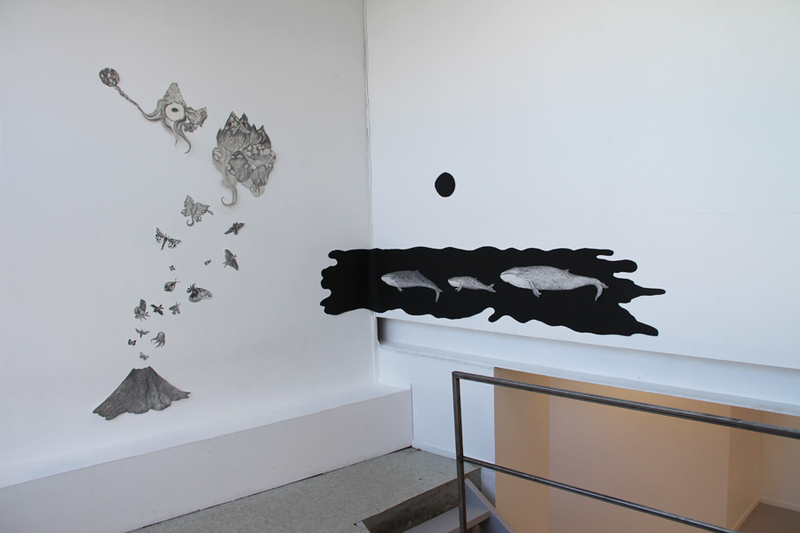 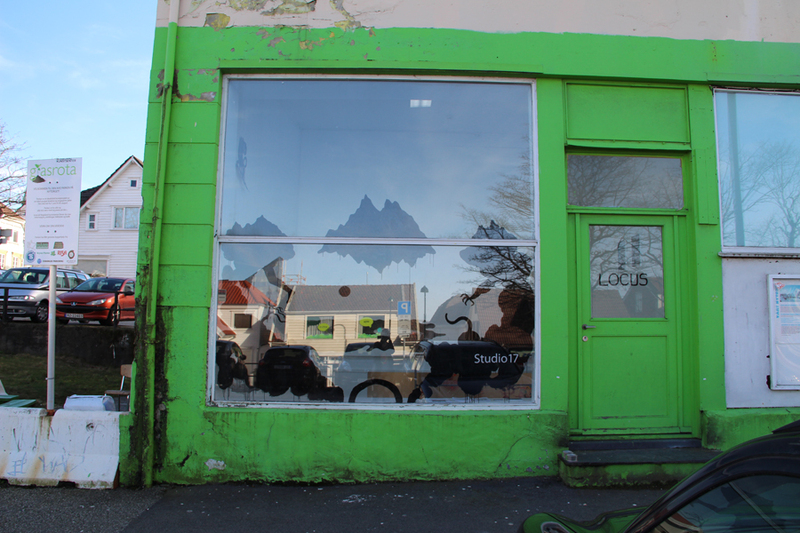 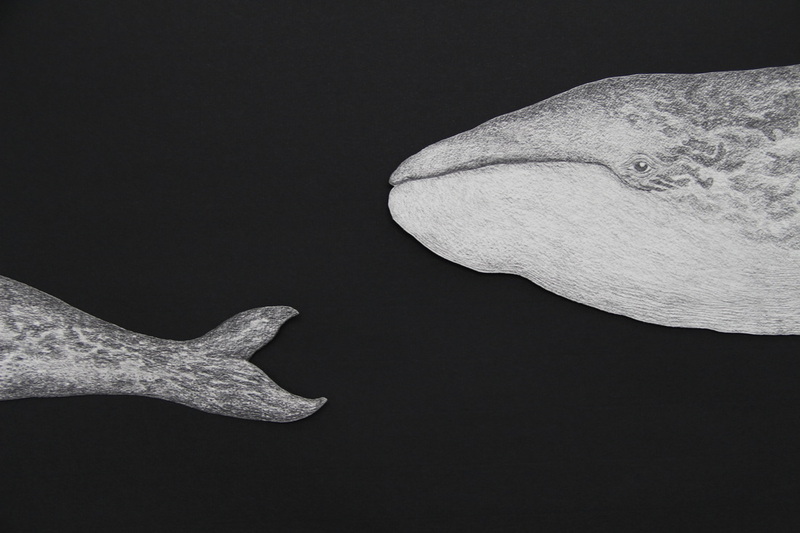 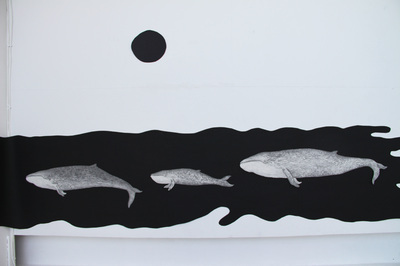 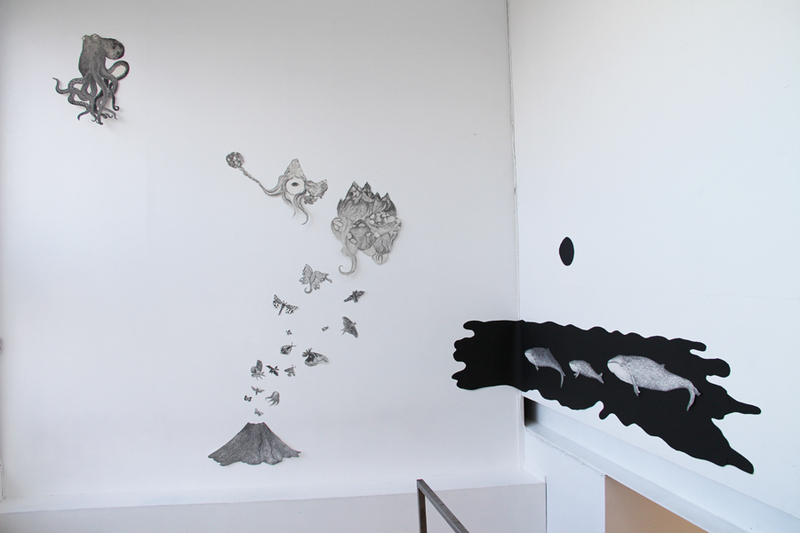 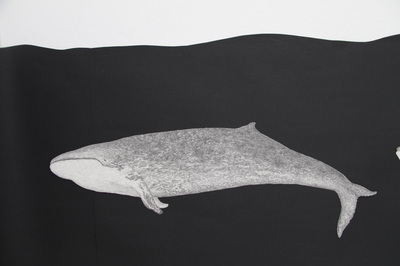 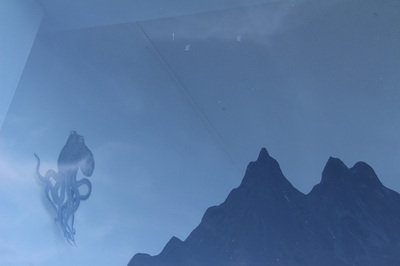 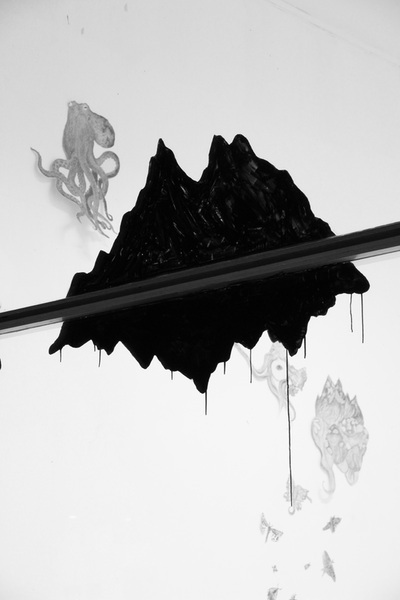 At Studio 17 the installation revolve around three whales and their mythology as I have interpreted it. 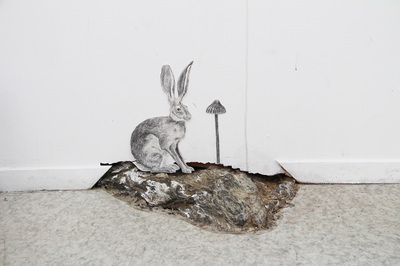 In mythology, as with biology and ecology, all creatures small and large hold equal importance in the greater story. I explore the transformative and liminal time when in the middle of a tale a magical transformation occurs. 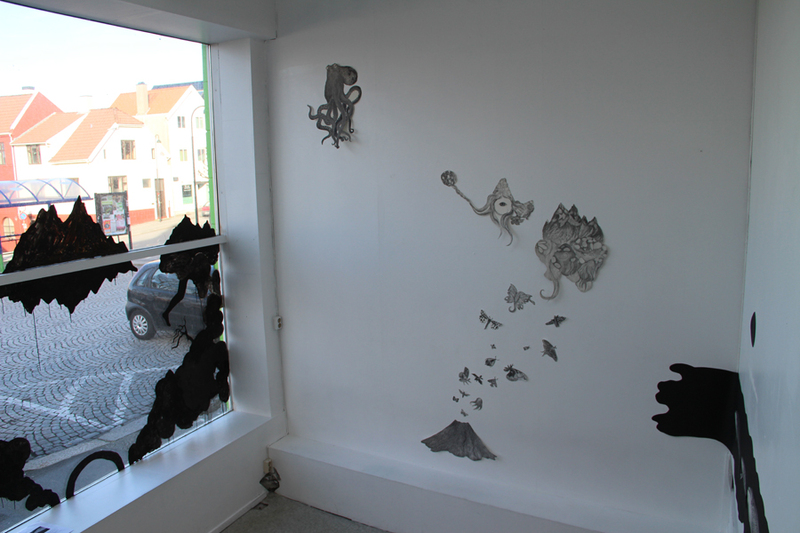 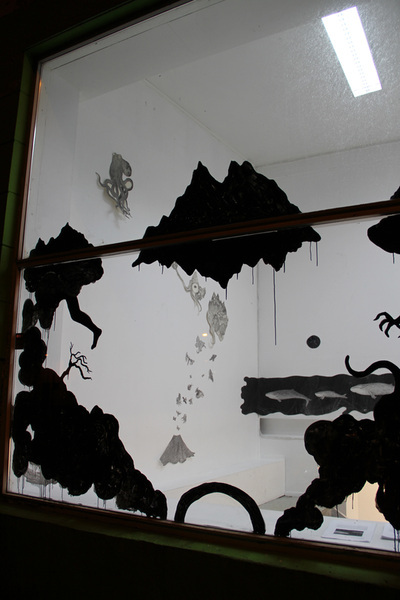 Mythistoria opened on march 20th, the day of the total eclipse of the sun and is a site-and time specific work using wall collage with cut-out drawings and painting with ink on the window glass. 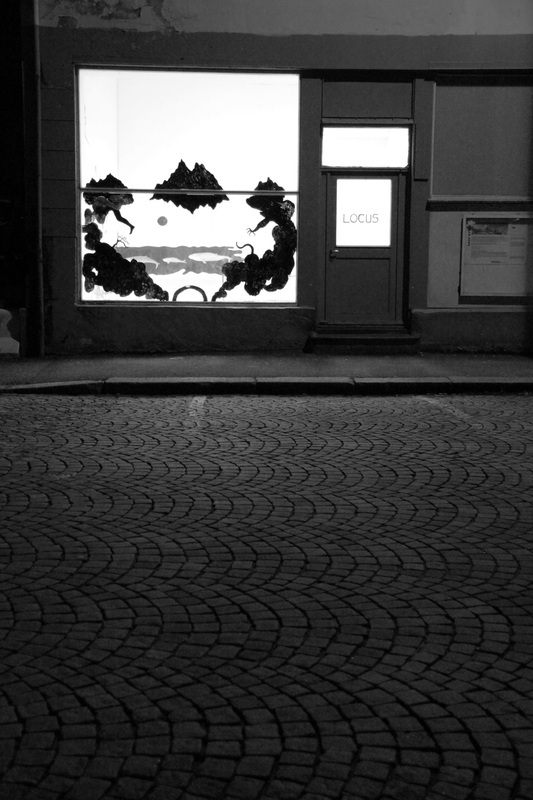 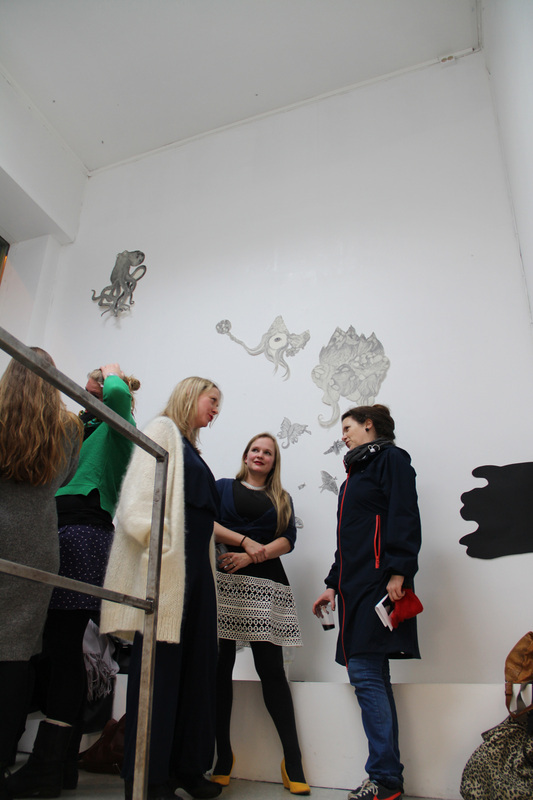 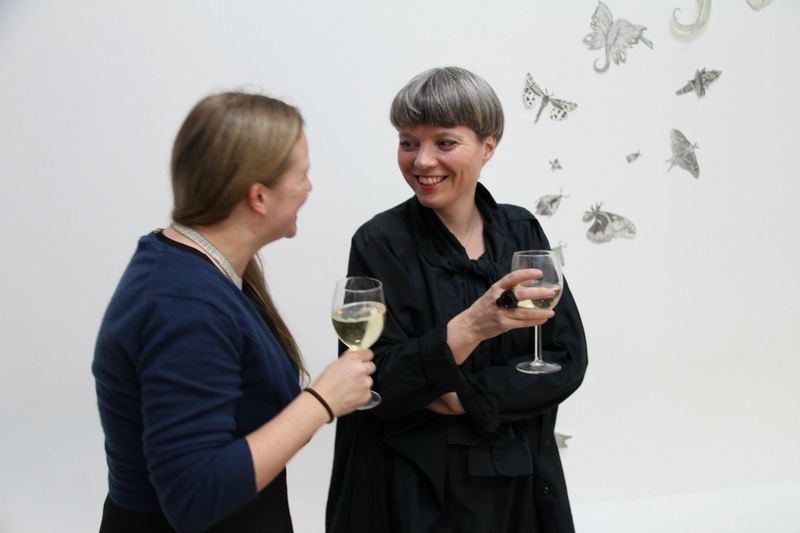 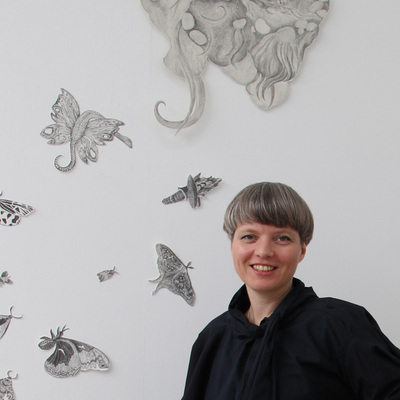 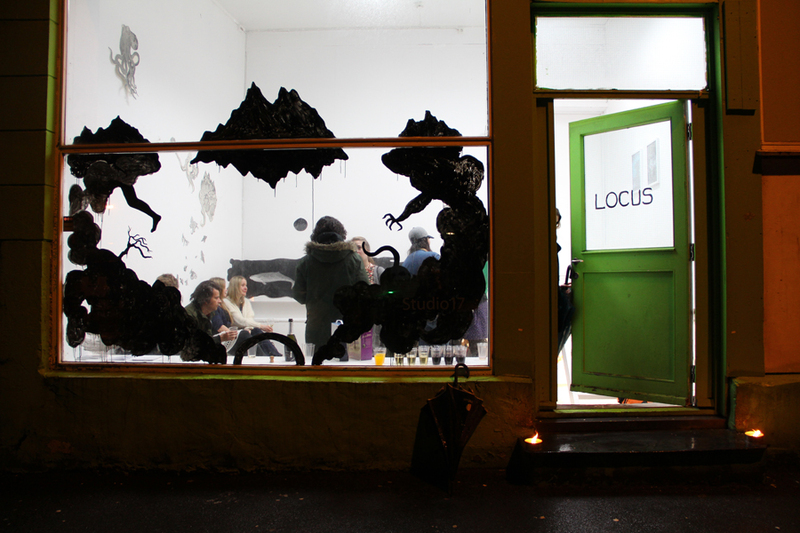 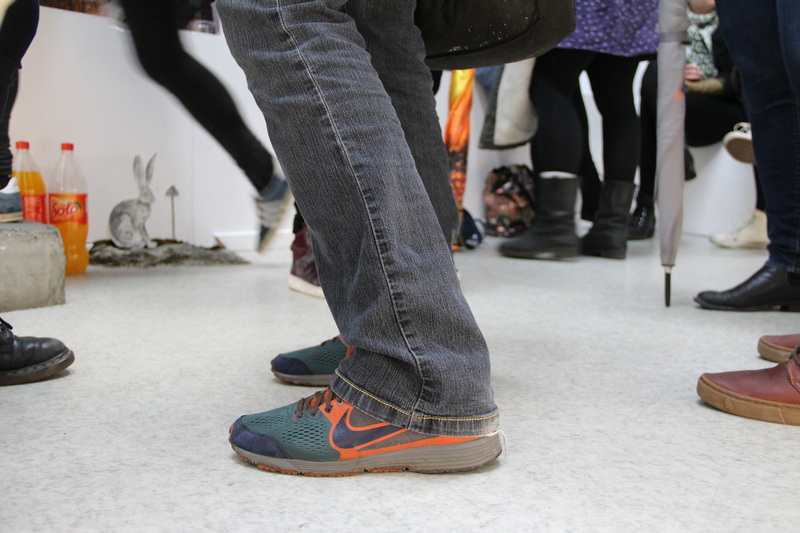 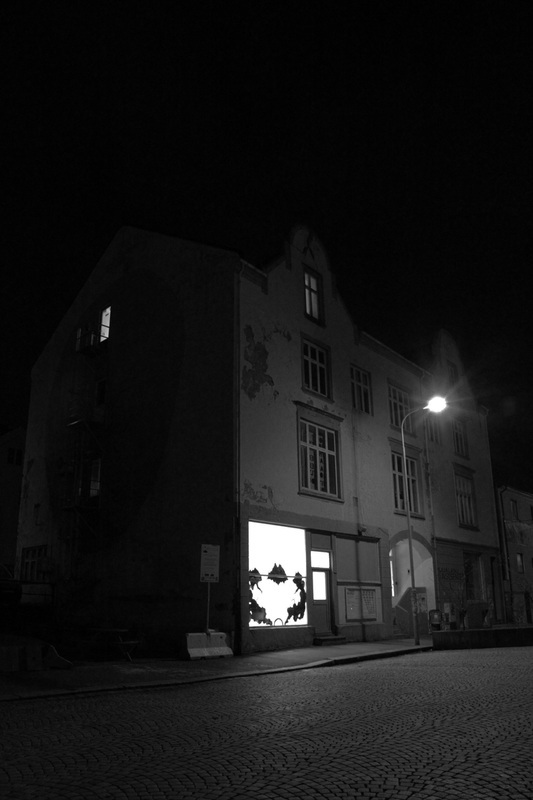 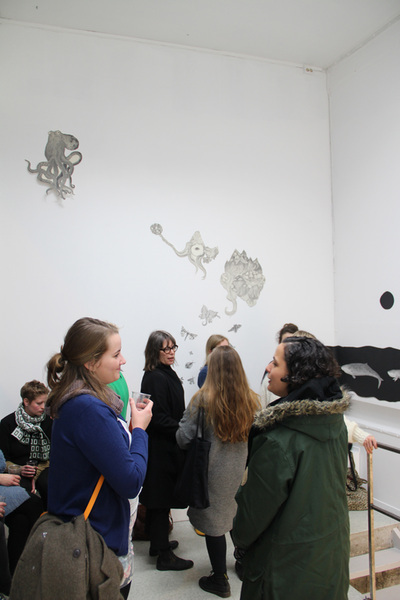 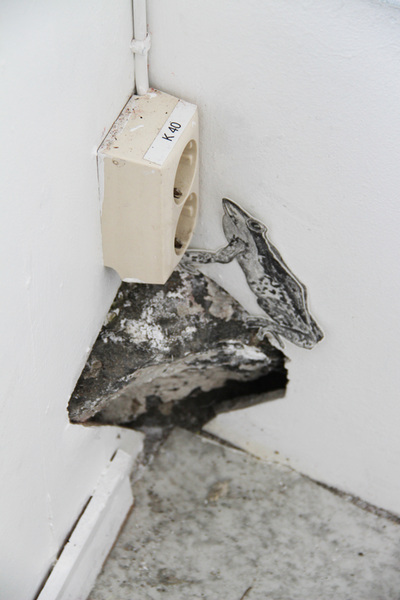 LOCUS is an art and curator group consisting of Thale Fastvold, Marianne Darlen Solhaugstrand and Tanja Thorjussen.